Manor Courses is one of the UK’s longest established Summer Schools for young international students. The same family has organised the Summer School for three generations and our aim has always been to provide a warm family atmosphere that gives every student the best opportunities to learn English in a fun and stimulating environment. The Summer School welcomes students aged 8 to 17 years old, from many different countries and is set in 140 acres of beautiful grounds and parkland. We are located in the heart of the stunning Sussex countryside, only 30 minutes from Gatwick Airport, 20 minutes from Brighton and a little over an hour from London. Our aim is to offer our visiting students every opportunity to enrich their learning through a wide range of stimulating creative, active and cultural activities, to provide a dynamic and fully immersive learning experience. The Summer School is based within the beautiful 140 acre grounds of Hurst College. The College, founded in 1849, is an independent day and boarding school and has a fantastic range of facilities that our students can benefit from during their stay with us. During their stay with us students will enjoy a wide variety of experiences inside and outside the classroom. Whether the activity is sport, dance, drama, art, a talent show, horse riding, adventure sports or an excursion, our students are provided with an incredible variety of opportunities to learn English in a welcoming and safe environment. Nick has been employed at the summer school since 1994. He is jointly responsible for the main components of the course including devising syllabus, policies, procedures, excursions, activities. Nick is also responsible for sales and marketing as well as student enrolment /admissions, he personally enrols every student himself. 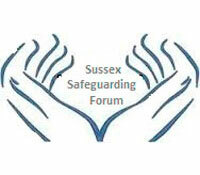 He is a trained Designated Safeguarding (Child Protection) Lead and the Health and Safety Officer. Jon has been the Course Director for 10 years now, graduating with both a CELTA and Diploma in TESOL (Teaching English to Speakers of Other Languages) when he started teaching in Brighton. Before that he spent 5 years as an English teacher in Japan and Taiwan. 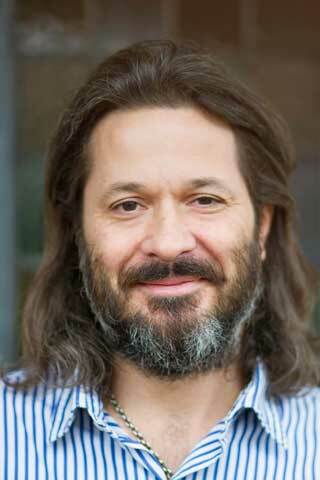 He is a member of various ELT associations: IATEFL (International Association of Teachers of English as a Foreign Language) and the Sussex Director of Studies Association, and a supporter of TEFL Equity Advocates. Jon is also the Recruitment Officer and is trained in Safer Recruitment. Su qualified with a BA in International Hospitality Management and then qualified with a CELTA (Certificate for English Language Teaching to Adults). She started her teaching career as an English teacher in Spain then Belgium before studying for a Post-Graduate Certificate in Education. 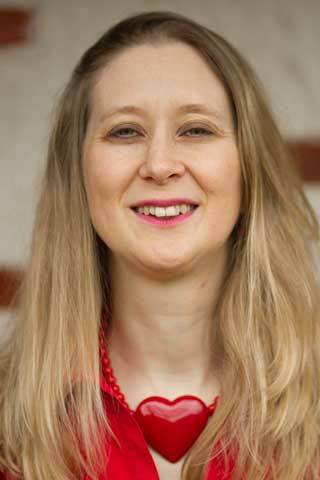 She worked as a Primary School teacher in London for 10 years and is now employed full-time at Manor Courses. 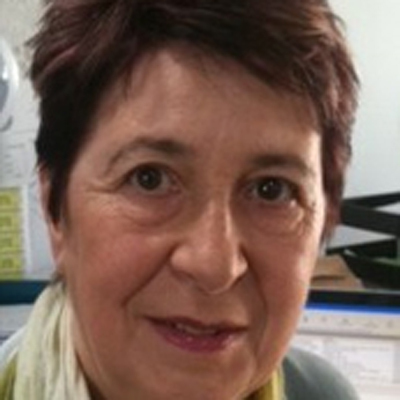 She is the Recruitment Coordinator (trained in Safer Recruitment) and is Designated Safeguarding (Child Protection) Lead . Jacky was the daughter of the summer school’s founder Mrs. Smith and has been one of the Directors of the school for many years. Jacky and later her children Nick, Jon and Su spent summers at the summer school. Growing up with students from so many nationalities in this sympathetic and caring environment, has given them a wealth of experience in this field. Sadly, our mother passed away on 6th January 2019, her funeral was attended by more than 100 family, friends and neighbours, plus one business associate who has sent students to MC for many years. 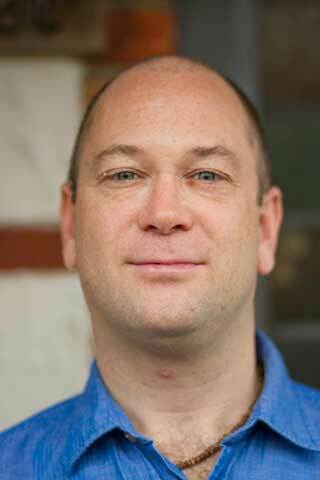 Aaron has worked extensively as an English Teacher in Italy. He had been a Teacher and Assistant DOS, and now our DOS, for 9 summers in total, and has a DELTA (Diploma in English Language Teaching), so is entirely capable of managing our programme and our team of 24 teachers. 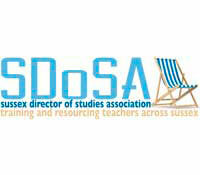 Each summer Aaron is assisted by 2 or 3 Assistant Directors of Studies (ADOSs). All our ADOSs have been working with us for a number of summers and understand the needs and wishes of our students and teachers very well. Ian has been a Teacher, a Head Teacher and in 2018 was in his eigth summer as ADOS, so 13 summers in total. He works year-round as an English Teacher in Czech Republic. Elin in 2018 is in fifth summer as an ADOS, but is with us for her seventh summer. She worked at an international school in Cambodia, implementing their very high standards. Julia and Jakub, our 2 qualified First-Aiders, were found in the office whenever a student felt ill, and were ready to help any accidents/injuries. 2017 was the third and first summer with us, respectively. Luckily we had Michaela back at Hurst with us, but working in the office instead. Shirley, our long-term Welfare Manager, has worked with us for more than 20 years in a number of roles, including teaching. Her invaluable experience in psychotherapy and education make her a perfect member of the management team. Students and staff suffering any problems will find her in the office ready to help. She has a CELTA and has trained in both Safer Recruitment and Basic Awareness Safeguarding. Kaihan, our Head of Security, is well-qualified in first-aid, health and safety, and security and protection, and is familiar to all staff and students. He has worked during the evenings of the last 8 summers. Our Activity Manager in 2018 was promoted after many summers with us Mike, and his 2 Team Heads, Katalin and Chelsea, were also returning Leaders from 2016. Tom, one of our House & Welfare Coordinators, managed all our House Managers and other areas too. He has worked as House Manager and Coordinator for 7 summers. He was joined by Rico and Fotini, who both worked as House Managers in recent years. The British Council inspected and accredited Manor Courses in August 2008 and again in 2012 and 2016. The inspections, and subsequently the courses accredited, were always at Hurst College. Read the 2016 report here. Note that the British Council did not inspect any Private Tuition or Adult Courses. Also our new Performing Arts and English on the Road Courses are not accredited. Our same high standards, however, are applied to all our Courses. 1960’s ~ In 1969 there were very few residential summer schools. Dr Friedrich, an educationalist who had set up many language institutions around the world, was looking for something special to offer foreign students. Recognizing that a mutual friend, Mrs. Smith (mother of Jacky), could provide students with personal care and attention, he asked her to locate a suitable site from which she could set-up and run a residential summer school. 1970’s ~ 1980’s Mrs. Smith found Southover Manor in Lewes, Sussex (this is where the company name Manor Courses originated!). However, after 2 years the Head of Southover moved to Lawnside College in Great Malvern. Introducing foreign students to this sleepy town close to the Malvern Hills was a great success. Manor Courses became a colourful part in the town’s life during the summers and they enjoyed twenty-one years at Lawnside College until it closed in 1994. 1990’s ~ Manor Courses had to relocate and found Rendcomb College near Cheltenham. Rendcomb College was a great success for eight years until 2002, when relocation was necessary because of changes at the College. The Directors searched for the next summer school where they felt confident that the students would appreciate and enjoy the exciting new location. 2000’s ~ Manor Courses found Taunton School, Somerset, and ran their summer school from the attractive Taunton School site from 2003 to 2006. In 2006 we decided again to relocate and eventually located the quintessential location for a Residential English Language Summer School – Hurst College, Sussex. An independent boarding school throughout the academic year, during the summer the Directors of Manor Courses move in and turn it into an international summer school with a warm family atmosphere, though bigger than any previous campus. Over the years Manor Courses has been expanding, welcoming an increasing number of nationalities. Our ethos remains the same: our office doors are always open to make all students feel part of our large family. 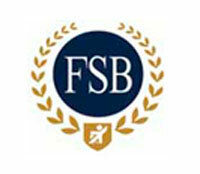 In 2008, Manor Courses at Hurst College was inspected and accredited by the British Council. 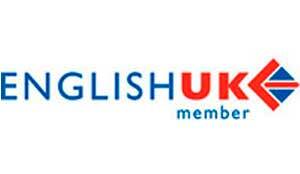 We then proudly became a member of English UK. 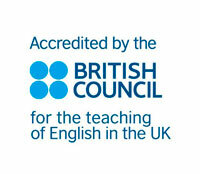 In 2012 Manor Courses successfully passed our second British Council inspection. 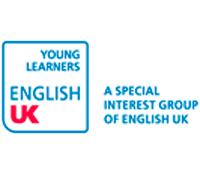 We also joined the English UK Young Learners Group. In 2015 we celebrated our 45th year. Also Su Barnard joined the team full-time, leaving her primary school teaching position in London to move to Brighton. In 2016 we enjoyed and benefited from a successful 3.5 day British Council inspection of Hurst College, and were very happy with their report (read here). After the report was published, the leading industry magazine, EL Gazette, awarded us a title of ‘Centre of Excellence 2016’ due to the number of strengths identified by the British Council. This article identifies how family-run schools can offer the best standards. To find out what is a ‘Centre of Excellence’, read here, and for how they rank them, read this report. In 2017 we again welcomed approximately 50% of our staff returning from previous summers. Before summer, EL Gazette rated us 6th safest school for under 18 year olds. Read the article here. After summer 2017 we started to work as an agent for BISS, a school in Brighton, offering our current agents, and any new agents, the opportunity to enrol groups on their ‘immersion’ and ‘British high school’ courses times of the year. Additionally, in 2018 we introduced to our current and new agents the opportunity to enrol groups on courses at other times of the year at a campus in Southend-on-Sea. BISS is British Council accredited, while Southend-on-Sea will be courses organised by Manor Courses with classes and accommodation at a university campus in Essex. Resources and staffing will be different to that at our Hurst College campus. In 2018 we trialled elements of a planned specialist Performing Arts Courses for a small group of young children. We will be offering this Course for a wider range of students who can enrol in a group or individually from 2019. In early 2019 we were sad to announce the death of Jacky Barnard, the second generation Director. Along with her mother, her dedication to the welfare and education of her students has positively impacted 1000s of chidlren, many of who are now adults. However, at the same time, January 2019 we discovered that we had earnt a high ranking position in the top 100 British Council accredited schools in 2017. Again, EL Gazette ranked us, this time as one of the 46th best schools, and there are more than 100s of these and universities in this survey. This chart shows what % of the criteria we met in 2016, and what % were ‘strengths’, where we were beyond typical expectations of the industry. See here. As we enter the planning stages for summer 2019 we are proud to announce a second new course. English on the Road gives students the opportunity to experience a week on our Residential English Language Course, followed by a week in London, spending each day with their teachers as they see the sites and learn relevant language.